Soprano Nicole Car is not yet 30, but her superb singing on this solo debut CD and her magnificent voice firmly places her in the top rank of emerging international artists. 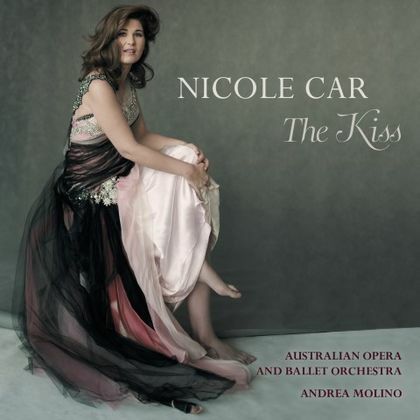 Nicole Car trained at the Victorian College of the Arts and has won several prestigious competitions: the Herald-Sun Aria (2007), the ASC Opera Awards (2012) and the international Neue Stimmen (New Voices) competition in Germany (2013). 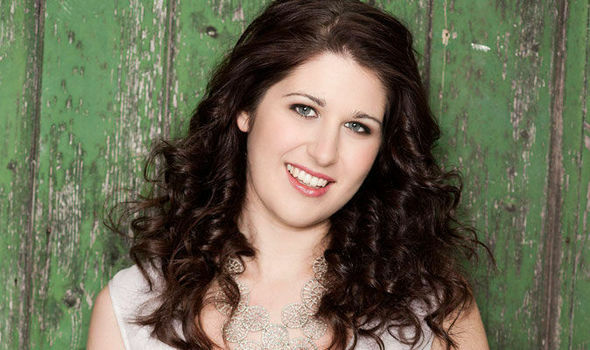 Her debut at Covent Garden last year as Micaëla in Carmen received rave reviews, as did her Tatyana in Eugene Onegin later in December and also at Covent Garden. Her major Australian role debut was in 2009 when she sang Donna Anna in Victorian Opera’s Don Giovanni and she has done several major roles for Opera Australia since then. Her portrayal of Marguerite in Gounod’s Faust last year showed just how much and how well her voice and stage presence have matured in the last few years. She was stunning. This CD starts with “The Jewel Song” from that opera and it is a very exciting performance. Her lyric-spinto soprano is so expressive, so beautiful and so even throughout her large range, with a splendid top and ringing tones that carry over a large orchestra with ease. She has fine dynamic control too and splendid phrasing. It is a world-class instrument and she is developing into an excellent actress as well, according to all reports. Opera Australia cast her in the title role in Verdi’s Luisa Miller which is on at present, and later this year she will play Fiordiligi in Cosi van Tutte, something to look forward to indeed! On this, her debut solo CD with Maestro Andrea Molino conducting the Australian Opera and Ballet Orchestra, she sings the main arias from the roles she has already performed so successfully: “Mi chiamano Mimi” (La Bohème), Tatyana’s “Letter Song”(Eugene Onegin), and Micaëla’s aria “Je dis que rien ne m’epouvante “(Carmen). Then there is a selection of arias from roles she will hopefully have the opportunity to perform in the future – arias that give us examples of just what she is capable of doing with her marvelous instrument. These include two not so well-known pieces – another beautiful Russian aria -” Tsveti moi!” from Servilia by Rimsky-Korsakov and Smetana’s “Hajej, muj andiku”, Vendulka’s lullaby from the opera Hubicka, which translates as The Kiss – the title of the CD. Rusalka’s “Song to the Moon” (Dvorak) and “Io son l’umile ancella” , from Cilea’s Adriana Lecouvreur, show off her exciting top notes, and the two arias by Verdi, “Tacea la notte placida” (Il Trovatore ) and “Come in quest’ora bruna” (Simon Boccanegra), show her mastery of the long legato lines and in all the works, the sheer beauty and the passion she brings sets her apart. One can watch her in the recording sessions for this CD by visiting www.abcmusic.com.au/TheKiss to enjoy The Letter aria and “Tacea la notte placida”. The last aria on the CD is “Ah! Je suis seule, seule enfin” from Thaïs of Massenet. It is another real show piece for her, with its huge range which she negotiates so well. She also has excellent French pronunciation. No Mozart arias are included on this CD. The CD notes are comprehensive and interesting with translations of each aria by Natalie Shea and background information about the operas and characters written by Moffatt Oxenbould AM. The AOBO sounds particularly inspired and vibrant in this recording with the Italian Andrea Molino (b.1964 in Turin) on the podium. He has an international reputation as both conductor and composer, and has worked with Opera Australia in 2014 and 2015. His own multi media music theatre pieces include a 1999 work called The Smiling Carcass about advertising and Those Who Speak In A Faint Voice (2001), about the death penalty. Three Mile Island dealt with the nuclear accident in Pennsylvania in 1979, and received the Music Theatre Now Award 2012. His latest opera is called There is no why here, and deals with good and evil in a globalized world. Nicole Car is clearly headed for great things and this is a terrific debut CD not to be missed.